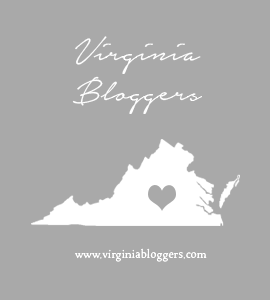 Now that I am home full-time, not only do I plan to work on my book, I also plan to participate with the Tuesdays with Dorie group more. This week, we are working from the book Baking with Julia and the chosen recipe is for Hazelnut baby loaves. The recipe is actually for a small loaf cake and requires an unusual pan size. Most mini loaf pans are 5″ x 3″ x 2″ or a close approximation to that but the recipe calls for eight 4″ x 2″ x 2″ pans and I only have three-hard to believe. After looking in a couple of shops, I could only find the 5″ pans and had no desire to buy a big baking plaque for loaves in that size (think rectangular cupcake pan) so I did the next best thing; I used a muffin pan. My tale of woe does not end here. When one isn’t working, one watches spending and I could not bring myself to spend $6 on hazelnuts when I only needed 1/3 cup so I used 1/4 cup of almond flour, something I am apparently hoarding in my freezer. When my husband and I went to the not so local International market on Sunday, I stocked up on tiny pears. They had both Fourelle and Seckel pears and I chose a half-dozen of each. What can I say, I happen to love pears and was thinking of something I saw on Pinterest recently and thought I would give it a try. 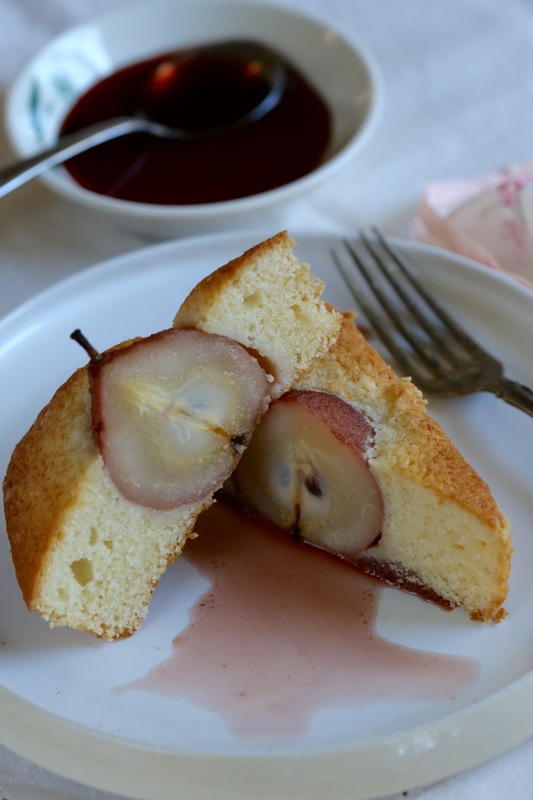 First I poached the pears. 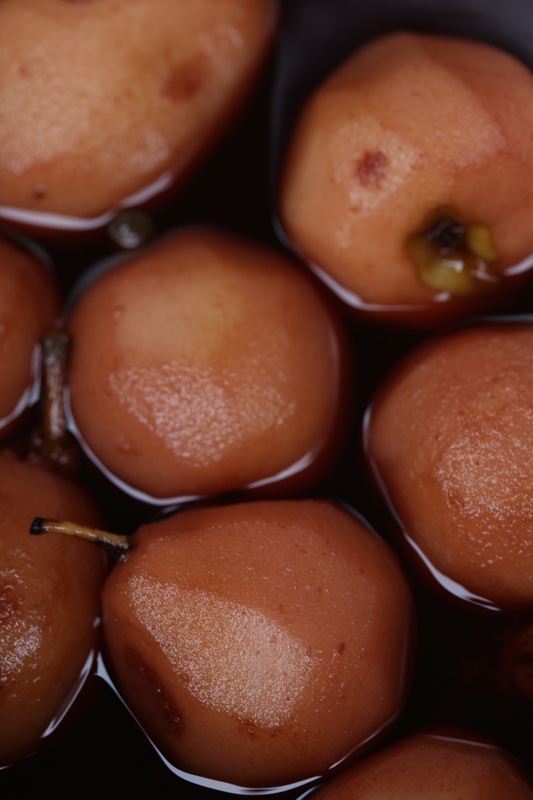 To do this, I placed the peeled pears-stems and cores left in place, into a saucepan with 1/2 cup ruby port, 1/2 cup apple cider, 2 cups water, 1/2 cup light brown sugar, 1 cardamom pod, 1 star anise pod, a 1″ piece of vanilla bean, 3 whole allspice and 5 whole black pepper corns. With the heat at medium-low, I allowed the pears to simmer gently, turning them occasionally so they would color evenly until they were tender when a knife tip was inserted. The pears were allowed to sit in the liquid until mostly cooled and then were carefully lifted out and placed in a dish lined with a paper towel and placed in the fridge over night. 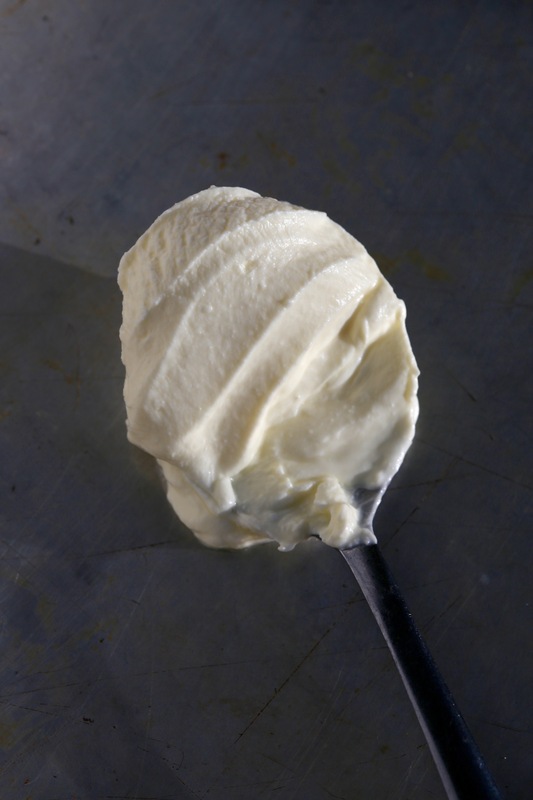 The recipe also called for creme fraiche and since I had some heavy cream and cultured buttermilk, I made my own by pouring 1 cup of cream into a glass measuring cup, then I stirred in a tablespoon of buttermilk and let it sit out overnight. It was pretty thick-I may have added a bit more than a tablespoon of buttermilk. Having toasted the almond flour, I proceeded with the recipe but doubled the almond extract to give it a bit of a frangipan flavor. 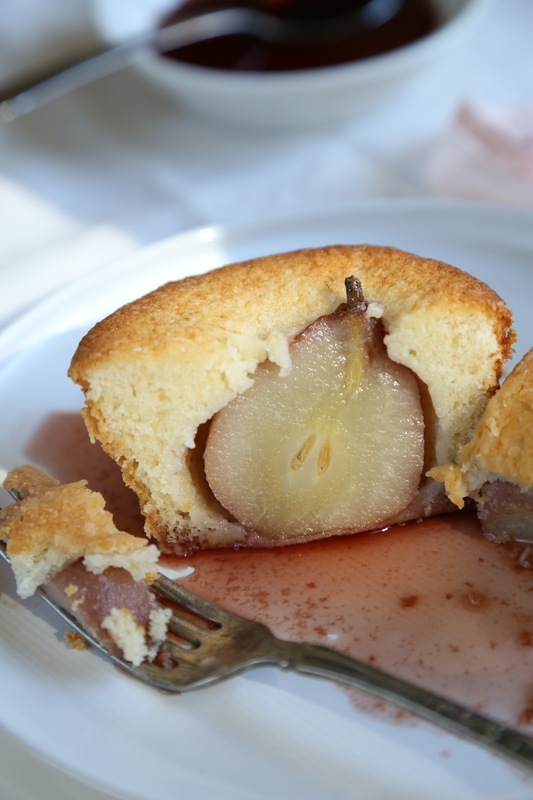 The batter was divided between the pans and the pears were pressed into the batter. A little of sprinkle of Demerara sugar over the top and into the oven they went. 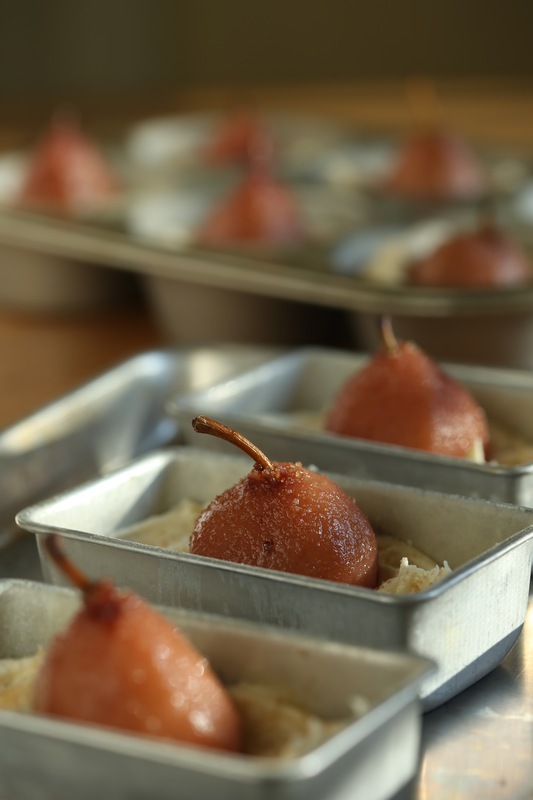 They baked up beautifully; the pears only added about 5 extra minutes of baking time. 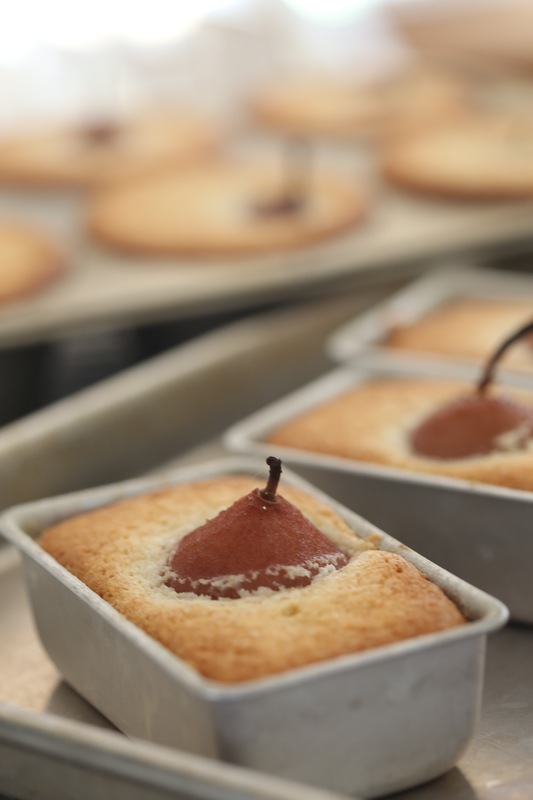 They needed to cool in the pans so that the cake could set and support the pears. However, the greasing/flouring of the pans allowed them to slip out undamaged. To get an idea of what the pears were like, the front left is a Seckel pear, the front right is a Fourelle pear and in the rear is a fully ripened Comice pear. Can you see the difference in size? 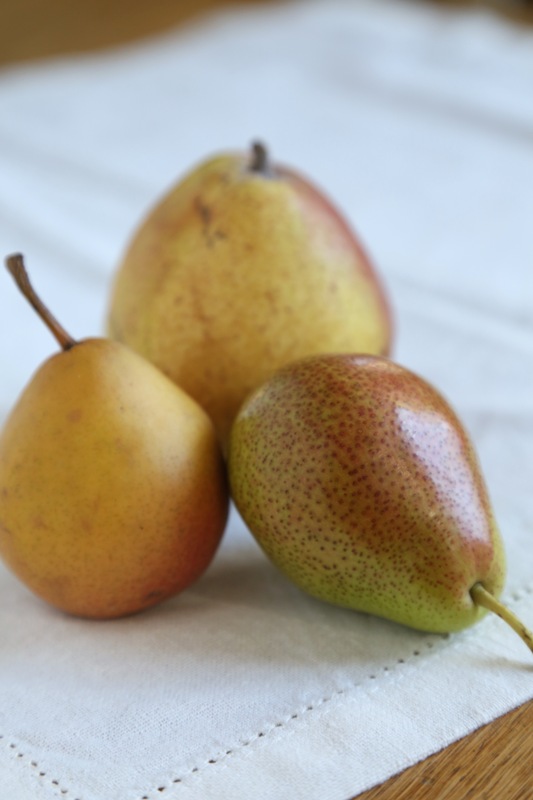 The Comice pear was easily twice the size of the others but all were ripe and juicy and when poached, they held their shape without falling to pieces. The syrup on the plate is actually the poaching liquid. After I removed the pears, I had about 2 cups of liquid and using the same sauce pan over medium-low heat, it was reduced down to slightly less than a cup. It is flavorful and a beautiful ruby color and I am thinking it will make some wonderful cocktails…My only thought on this, the cake was not very sweet. While my first impulse is to add more sugar next time, I think in this case, more syrup and possibly a scoop of ice cream would do the trick nicely. Until next week, bake on friends. To see how the other participants made out with this recipe, check the website and consider joining in on the fun! While I work on that proposal, I am trying to get back to things I love doing and Tuesdays with Dorie is one of those things that I have truly missed. If things go as planned, I will get caught up and make all of the recipes I missed over the last 6 months. 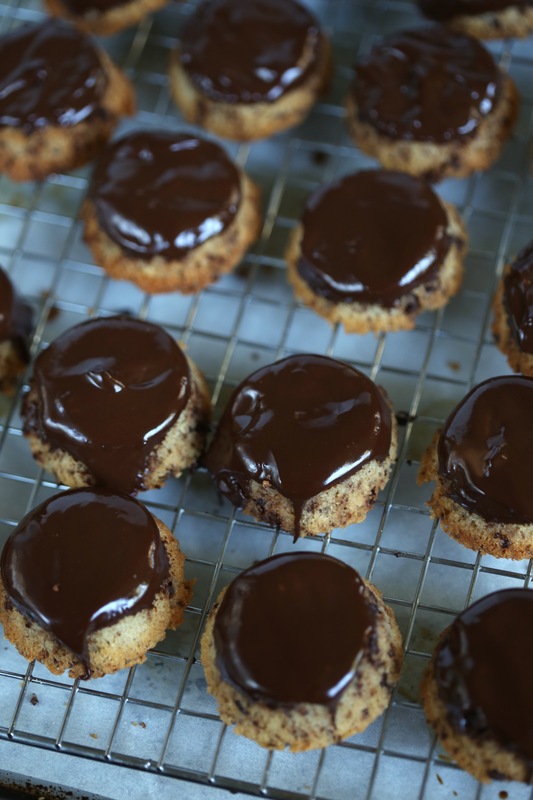 This week, we are baking from Baking Chez Moi and our chosen recipe is for Tiger Cakes. 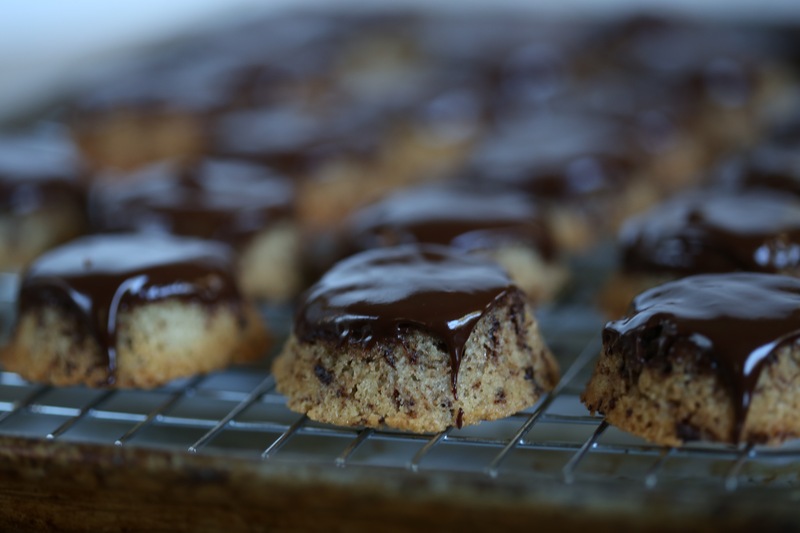 Can you say “easy peasy” because that is what this recipe was-easy; crazy easy and quick and topped with ganache. The batter mixes up quicker than you think, it actually takes longer to measure out the ingredients than it does to whisk them together! 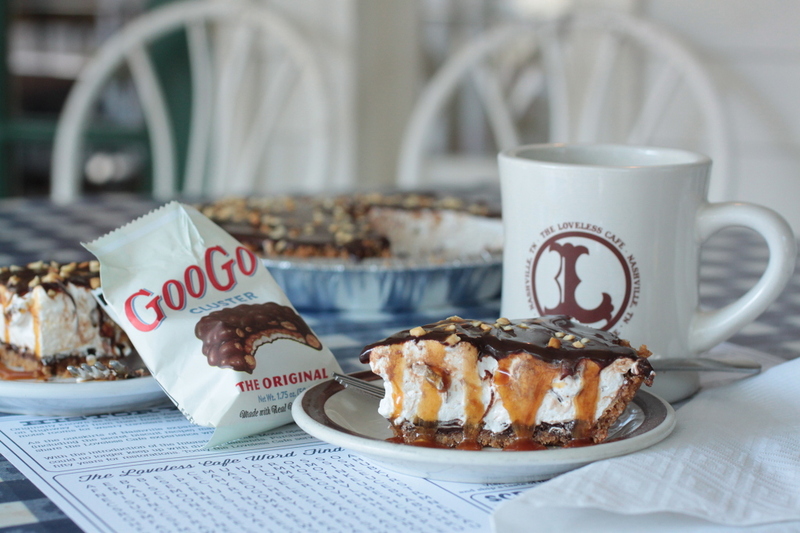 The main ingredient is almond flour and it is whisked into egg whites and sugar with a bit of flour and a generous helping of finely chopped bittersweet chocolate. 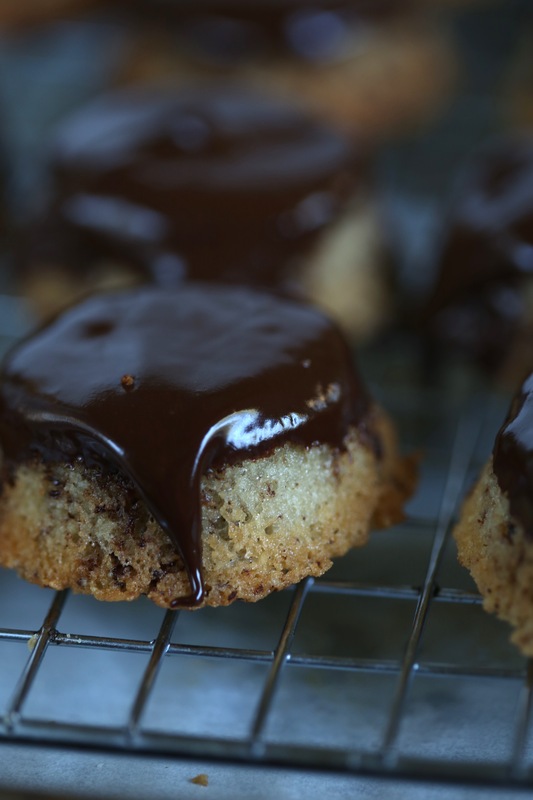 These decadent little cakes are moist and chewy and as if that wasn’t enough, they get dressed up with a bittersweet chocolate ganache. 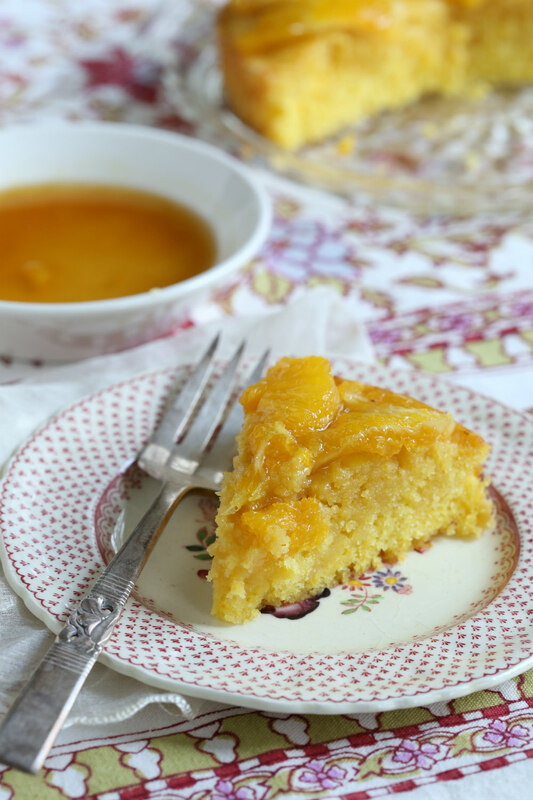 Join us, bake from Dorie Greenspan’s books, Baking Chez Moi and Baking with Julia; to see how the other bakers made out with the recipes, check the website, Tuesdays with Dorie.